There are several options available to you when shopping for Mercedes key replacement online. However, as the giant of all online malls, Amazon has pretty much everything you can ask of when it comes to Mercedes key replacement. There is the “garage section” where you can see virtually all types of keys for Mercedes model cars. All you need to do is provide the right information about the car. Then the locksmith will bring several options for you to select the most ideal fit. You are required to provide the cars’ identification number, model information, make, as well as year of manufacture. 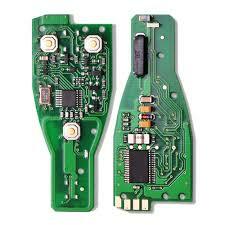 Once all these are provided, the site will provide a list of unprogrammed Mercedes keys that match your car’s brand. Remember that the keys you will buy at Amazon are not programmed. This means that if your car uses a fob key, you will need to program the key by yourself. You can also call an expert who will do it for you. 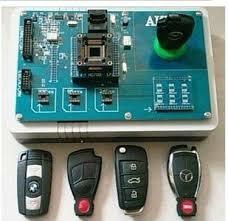 Most keys for recently manufactured Mercedes cars have a key and remote system, usually referred as smart key. Be sure you are getting the right type of car key that’s fits well with the model information. If you’re not quite sure whether you’re getting the right key, you can do a little research on Google. Try and find out the key specifications for your type of Mercedes car and compare. Ordering your key replacement online is more convenient and far cheaper than any other means. This is because the Mercedes key replacement comes with only the key and not the programming included. As stated earlier, only the cut key is provided and you have to program it for yourself. If your Mercedes car key is a standard key, then programming of the key will not be necessary. But if it’s a fob type, you need to take the key to the locksmith or dealership to get it coded and synchronized for the car’s ignition. Buying your Mercedes key replacement online is not the fastest method of obtaining a replacement key for your car. It will be frustrating to wait for 3 days for your car’s replacement key to arrive and still spend more time to program it at the locksmith. If you are in a hurry, buying your Mercedes key replacement online is not the best option. Secondly, there is a high risk of buying the wrong Mercedes key replacement. Since you don’t interact personally with the retailers, there is a high possibility of receiving the wrong Mercedes key replacement. Although the online malls usually request information about your car’s make before bringing available options, key keys are quite similar and you might select the wrong one if you’re not very careful. But a locksmith or a car dealership can help you pick the right Mercedes key replacement and properly set the code. Apart from shopping online, you can decide to buy your Mercedes key replacement or do you Mercedes key fob programming at a dealership or a locksmith. A professional locksmith understands clearly most of the car keys. They will advice you on the best option available to you and help you program the smart key effectively. Moreover, ordering your Mercedes key replacement can save you time because it’s the fastest option available. If you ravel out of town and misplace your car key, you will need to go back to your base, and time may be a constraint for you. In this case, contacting a local locksmith is the best option you have. Once contacted, your Mercedes key replacement should be available within an hour if you’re lucky to have a standard replacement key. For a key fob, the cutting and programming will take more time, but it should be available within 2 to 3 hours. Most dealerships have Mercedes key replacement for all models of Mercedes cars. But they are usually more expensive than online purchase or through a locksmith. One benefit of replacing your car with a dealership is the plethora of replacement options you may have. Some special Mercedes models may not be available with your local locksmith, but you can see those model car keys in a dealership. Moreover, car dealership has the best machines for programming and coding of your fob key. When it comes to Mercedes key fob programming, the best option is with a car dealership. But be expected to pay premium price for the service. Also, the delivery time frame is longer than receiving your key from a locksmith. That’s why it’s the most ideal option for those with rare car model keys who have enough time to wait and not bothered about the cost. Is it possible to program the key myself? It’s very much possible to program the key by yourself is you are technically inclined. But even with your technical skills, you still need to follow the instructions properly to be able to do a successful job. Remember that the programming for Mercedes cars is more complicated than other types of cars. This is not to scare you but to remind you to be at the top of your gram to successfully program your Mercedes fob key. There are two types of Mercedes car keys available: the Smart keys and the older flip keys. The smart keys are more technical and difficult to program. This is where you need to contact a locksmith for assistance. But the older flip key can be coded with the instructions provided. It’s easier to program a spare key than programming an entirely new replacement key. After the key has been coded for the Benz car, it can never be utilized for another car. For master keys, do-it-yourself approach of programming will not work. The only option is to contact a locksmith to order directly from the manufacturer and program it. The process of crafting a duplicate key is different from the process of making a replacement key. If you haven’t misplaced your original key, it’s possible to get a duplicate and store it in case of emergencies. There are situations where a duplicate key can be a life saver. For instance, if you mistakenly lock yourself out, you will need to have another car key to open the car. With a duplicate key you don’t need to try to force the car open or call a locksmith. That is why having a duplicate replacement key is important even if you have not misplaced the original. Again, it’s cheaper to craft a duplicate key because the locksmith will have to follow basic steps. Replacement of Mercedes car’s key shouldn’t take more than 1 hour. If you are replacing a lost key without the original, it will require an entirely different and difficult process. This may increase the overall cost of Mercedes key replacement. A dealership will come in handy if you don’t have any other spare key available. Dealerships are also important if you have a smart key. Smart keys are the most difficult to code. No one else can generate the code apart from the manufacturer. This measure is taken to prevent it from falling into the wrong hands. For instance, after coding a new key, you old lost key becomes useless. Even if you find it later, the old key will not be able to work again since you’ve transferred to coding into a new key. This is why most car owners with smart keys prefer dealership to locksmiths if they misplace their car keys and need a replacement. When contacting a dealership, it will be more ideal to contract an authorized Mercedes car dealer because they will know how best to provide the right replacement key. It will also be faster to get your replacement since they communicate directly with the manufacturer. What is the cost of Mercedes key replacement? The cost of replacing your Mercedes key varies according to the car’s model and year of manufacture. There may be other services you may require. Usually, smart car keys and keys with responders are more expensive to replace than standard keys. It requires a difficult process of coding and programming and it takes more time. But a standard key doesn’t require much work before a replacement is crafted. For a standard car key, you are expected to pay between $120 and $200. The actual price depends on the model of the car and the type of service you require. If you are looking to replacer a smart key, then it’s a different ball game altogether. A smart key usually has more technical details compared to a standard key. In this case, the locksmith needs to code or program the smart key to work effectively. The cost of a smart key replacement should be between $200 o $300. Again, there can be fluctuations depending on a lot of factors. Generally, the most recent car models have more expensive car leys than the older car models. So, you should expect to pay more if your car model is a new one. You can replace your Mercedes key in different ways. It’s possible to do it yourself after buying a crafted replacement key from an online store. If you don’t want to bother yourself about the stress of programming your car keys, you can contact a locksmith to do the job for you. Another alternative is to call a Mercedes car dealership to provide the Mercedes key replacement for you. These key replacement methods have their pros and cons. But it’s important to select the most ideal option for your particular need. If you have one of the most recent Mercedes cars and you’ve lost the key, the most ideal option is to contact a Mercedes car dealership. They will help you with proper coding and programming of the replacement key. Alternatively, you can contact a professional locksmith for your key replacement needs. This is surely the fastest means of replacing your lost key. The locksmith has all the required tools to craft out a replacement key. It’s also more affordable than contacting a dealership for car replacement. Is it possible to create a new Mercedes key replacement without the original? Yes, it’s very possible to provide Mercedes key replacement without the original. But having the original key will surely help the replacement process. The locksmith does not have to find a way to program the new key if the duplicate key is available. On the other hand, a lot of work has to go into the crafting of a new replacement key if the original is not available. But if you have a smart key, having the original will not make a huge difference, other than proving ownership. Smart keys are specifically programmed to suit a particular car. Two smart keys cannot open or start the same car. This means that if you have a smart key and you want a duplicate, the locksmith can only link the duplicate key to the smart key. If the coding has to change, then they have to condemn the original completely. If you have a transponder key, your locksmith has to synchronize the keys with the car’s ignition. Otherwise, the new Mercedes key replacement will not be able to work effectively. Transponder is a recent technological addition to most Mercedes cars. It’s important to have this feature to prevent car theft and improve the security of your car. But if you misplace your key, you may need to reprogram the key to fit perfectly with the car’s ignition. If your car’s key uses a transponder, the best place to seek for replacement is at a dealership. There are many reasons a car owner would need to replace his or her car keys. You can break, misplace, or damage the key. If you’ve lost your car key, the only option you have is to seek for a replacement. A locksmith or a car dealer can be very helpful in this aspect. From the above article, we have all seen the importance of having a duplicate even before losing your original key. It’s also vital to understand the make, model, and age of your car before seeking for a replacement. 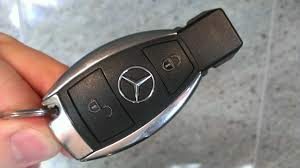 If you are looking to get the perfect Mercedes key replacement for your Mercedes model, the information above will help you. With the above information, you can make the right decision you will be proud of.